How was 2015 for you? I genuinely hope that it has been magnificent. Around these parts, it has been less than satisfactory… a year of heartbreak – cheating and endless lies. Within my family, we’ve experienced a year of loss, where we can count on two hands, the number of family members who have died. A year of niggling illness with trips to doctors a plenty. A year of career disappointments where it has felt like trying to wade through quicksand – getting nowhere fast. I realise of course that I am fortunate, I realise that it is not as terrible as it might or could be… I have hope that things will improve. Thank the heavens for music, my truest love has been a saviour during the darkest days more than ever in 2015. Some great artists crafted some really solid and enjoyable albums – Björk turned in an unusually emotive record in ‘Vulnicura’. You can’t beat a Madonna ballad and ‘Rebel Heart’ featured some of her most personal and thoughtful lyrics to date. Albums from Brandon Flowers and Carly Rae Jepsen fizzed with 80’s inspired synth sounds whilst Little Boots’ cleverly stylised ‘Working Girl’ was high class. Tove Stryke, MS MR and Chvrches excelled with their sophomore efforts, whilst newcomers Halsey and Say Lou Lou set the tone for things to come with top draw debuts. As a brief aside, true art and creativity represent no limits or boundaries. An exceptional thing to note about these albums is how each was released independently and self-financed. Each each artist beginning with a vision, as well as having the courage to take the lead in order to actualise their own brilliance. To me, (especially this year), the notion is inspiring with a wildly galvanising effect. 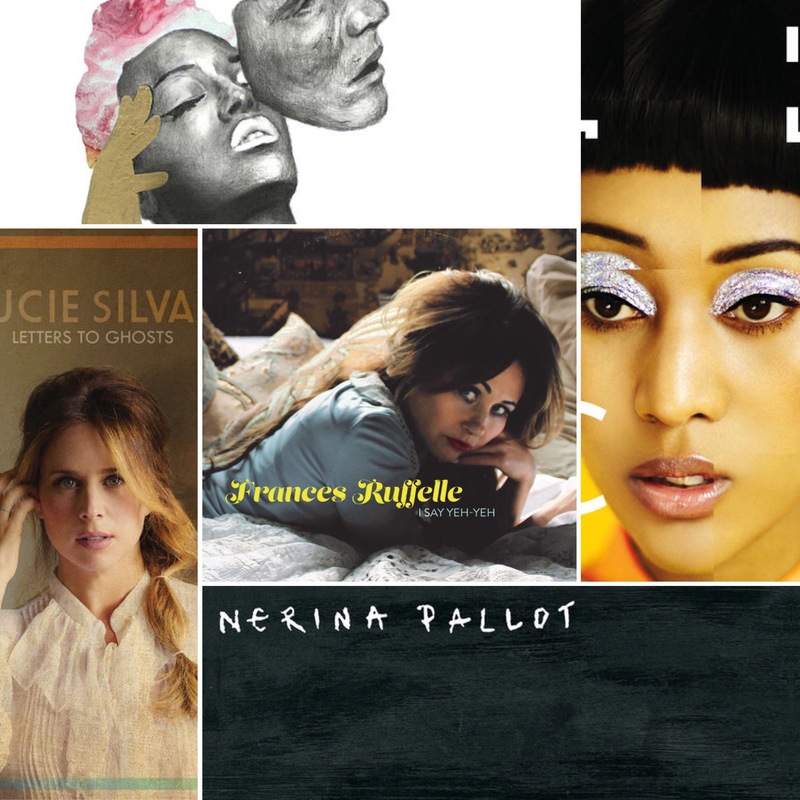 Nerina Pallot is incomparable – on her fifth studio album she unlocked an urgent, driven, beat focused transmission in which she united varying genre styles resulting in sounds of mystical electronica, bluesy grit and melancholic soul. Sonically, Nerina has always been chameleon like and with the album opener she triumphantly commands commands the casual listener to challenge, adjust and reposition their notion of ‘Nerina Pallot’ rather judiciously. As ever, lyrically, Nerina has something of note to offer. There is sublimity and grace in Nerina’s writing – here she presents songs that rouse and imbue the spirit (‘There Is A Drum’, ‘If I Had A Girl’) whilst proffering songs of candour that comfort, show understanding and provide solace (‘Boy On The Bus’, ‘Blessed’) – it is this emotional literacy and connection that makes ‘The Sound And The Fury’ so rich, powerful and wonderfully diverse. Nerina possesses great empathy, is insightful in understanding the human condition and is unrivalled in her talent at expressing these visions, which means that this particular record is one that is alive in the fullest sense, overflowing with passion, fire and poise. 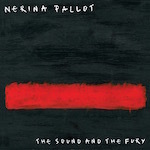 Eight songs from the album originally appeared across Nerina’s ambitious and wholly exceptional ‘Year Of The EP’ project of 2014. For this album they have been retooled and reimagined, emerging with tighter arrangements and greater use of orchestration and strings, which has helped in weaving these songs together so meticulously. ‘The Sound And The Fury’ is a strong, emotive, luxuriant listen – one that ignites and enlivens the soul. On her sixth album, the goddess, Frances Ruffelle offers a smart, tempting and invigorating palette – there is real measure, potency and vibrancy in the song selection, warmth in the Gwyneth Herbert production and inferno like passion in Frances’ inimitable delivery. Themes explored are tales of lives lived set against oft dramatic expressions of love both won and lost – tracks such as ‘À Quoi Ça Sert (Take The Mercedes Benz)’ and ‘Hymne À L’Amour’ produce a frisson such is the thrill of hearing Frances’ vocal swell and soar (unbelievably, it is even greater during her phenomenal live performances) as she enigmatically voices and relives the tales of the women who originated these tales – she adds her own shades of delight and disappointments with ultimate conviction. Another aspect that makes this album so successful is the way in which Frances blends the English and French languages – it works wonders in creating an unexpected bilingual soundscape that is both inventive and breathtaking. ‘I Say Yeh-Yeh’ is a sublime, achingly beautiful, timelessly chic collection – there is joy, sorrow and despair yet with an overarching hopefulness. Every single detail held within ‘I Say Yeh-Yeh’ speaks of all human experiences and it came at a time where it was able to irrepressibly breathe life into and put me back together again – I am confident it will do the same for you. Frances, you are truly mesmeric. 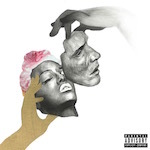 ‘Blackheart’ sees Dawn evolve, pushing her sound even further forward, mapping out a barrage of elaborate, progressive beats, experimental ideas that are executed with ferocious tenacity – stories and motifs within songs that explore loss, hope, freedom, togetherness and redemption. There is such glory and reverence in the make-up of the record, it is like a very fine painting, with the way in which it is emblazoned with texture and shade and the way in which it challenges you to study, explore, and appreciate what is presented – you will be moved upon its conclusion. There is ambitious beauty within – new wave landscapes, manipulated vocals add the sense that you are listening to a movement that is far above, beyond this time and space – it is sparkling brightly beckoning galaxies to catch up. Dawn projects into her lyric with an eloquent, distinct turn of phrase, the timbre of her vocal is especially compelling on reflective numbers – where the grandeur and the simplicity intertwine to create a stark, unique passage. This is an album that will remind you of your humanity, as well as the need to be determined, not to conform and never waiver under the weight of imposed expectations. It really is a thrilling and captivating piece of work. What else is there to say that we didn’t already cover? Not much probably but nevertheless let’s try! 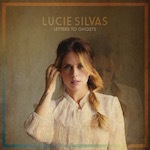 ‘Letters To Ghosts’ is a marathon labour of love – it every sense it depicts a hard fought battle: from the life experiences that lead to the emotionally powerful lyrical content, the years of struggle connected with actually releasing the record and everything else in-between – Lucie prevailed, climbed mountains and sweetly triumphed. ‘Letters To Ghosts’ is an astounding, spectacular body of work – it exhibits a dazzling array of sounds, styles and skills with quality craftsmanship and genuine musicianship employed throughout. Plentiful styles and genres are accounted for such as the doo-wop sixties girl group stylings of ‘Find A Way’ to the eighties, Americana infused sound of ‘Happy’ (the extended instrumental outro is a thing of fine majesty). The writing and observations are frank and brutally honest, take ‘Villain’ and ‘Roots’ as two deadly, heart-stopping examples: “There is fear in the thought of freedom, there are ways out and I see them, but I choose to be held captive”. Lucie’s vocal is sublime – fragility, potency and force are explored effortlessly. ‘Letters To Ghosts’ is powerhouse – an album of splendour that bolsters faith and courage – helping you to realise that everything will work out for the best in the end. And, as my own heart heals, the opulent beauty that is elicited from this collection of eleven will continue to make it full once more. With ‘Glitch’ VV flips the notion of who she is an artist and as a human being onto its head once more – the record is a relentless, propulsive storm of seemingly industrial monochrome beats (‘Instincts’) yet ones that dazzle and shimmer with life and vibrancy (‘Shift’). There is a juxtaposition between how the songs sound, what they make you think and how they make you feel, this executed with absolute precision and certainty – it is assured, innovative and penetrating. The Georgian, gothic operatic swell of her vocal adds texture, ambiguity and mystery – the rich dexterous tone is a crowning glory. Thematically, VV explores politics, privilege, equality, inequality, race, love and faith. ‘Glitch’ offers much in the way of self awareness, hope and humility – perhaps it can best be described as an album that recognises and acknowledges the outsider – speaking to those that observe, question and desire change beyond convention with the closing track ‘Will You Wait’ appearing as something of a prayer or mantra with its checklist like structure. 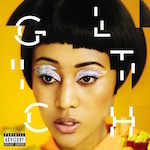 ‘Glitch’ is another bold, defiant masterstroke.